A truly expressive effect. The washed-out, romantic sound of chorus and phaser is a pedalboard essential for any guitarist. The RG-1 is much more than the 80’s in a box. 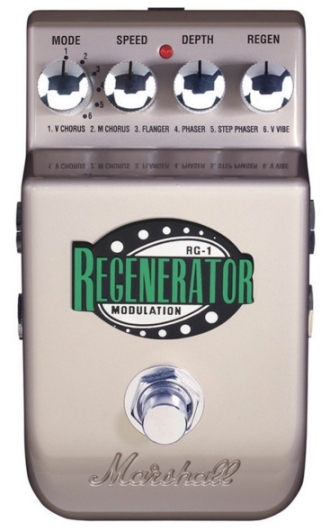 With its six modes you’re able to fully adjust chorus, phaser and flanger effects to your own personal taste. Want to take it further? You’re able to control the effect level with an added expression pedal and spread the effect even wider with a stereo output.